Congratulations on your big moment, Mary: March 25th, the Feast of the Annunciation (Luke 1) when the angel told you you were to be pregnant—with God, no less—and you said OK, adding a few questions of your own. Good woman! And congratulations to me as I remember the 29th anniversary of my priestly ordination on March 25th, 1988. Mary’s day in ancient times—and mine in 1988. We share. I first learned to say the "Hail Mary" in Spanish when I spent a summer with a very pious family in Santander, Spain. In 1960, Santander was a smallish fishing town in northern Spain. Now it is my bank. I love the connection, and, despite complaints about questionable banking practices, I will never change banks. Nor will I ever forget Spain, the cradle of my devotion to Mary. I lived with a family who said prayers every single night. The Señora would clap her hands loudly like two small shofars, and we would all come running—for our food, yes, but first for our prayers. Lucia Perillo, who wrote this poem to Mary, was known for her humor and being shaped by living with multiple sclerosis. She was born in New York City in 1958 and died in 2016. I find her humor most attractive, because it does not attempt to hide truth but rather expose it. 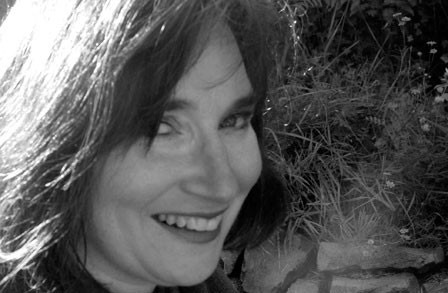 Perillo was a Pulitzer finalist, a blythe spirit. May she rest in peace and make angels laugh with her as they pray. her mother alky and her dad a pencil mark rubbed out. from all those years of Red Man packed behind his lip. though everyone knew this death was second-rate. to a woman and all you got was prayed for in return. Red Man, in case you didn’t know, which I didn’t, is chewing tobacco. But if you don’t pick the poem apart too much, which is a great temptation because you want to understand it, you get the full picture of a Roman Catholic girl trying to make good as she tries to grow more than breasts and wombs in a patriarchal world and Church full of Mary-Hailing. I was a Protestant girl of twenty-one in Spain, also trying to grow more than breasts and wombs while ingesting Catholicism on steroids—too much and never enough. I found a woman who prayed for me. Yes, Perillo is right: when you pray to a woman all you get is prayed for in return. I will take it with gratitude and affection. Gracias, María, and all women who pray with open heart and blessed intention. I will pray back. "To me, poetry is somebody standing up, so to speak, and saying, with as little concealment as possible, what it is for him or her to be on earth at this moment." 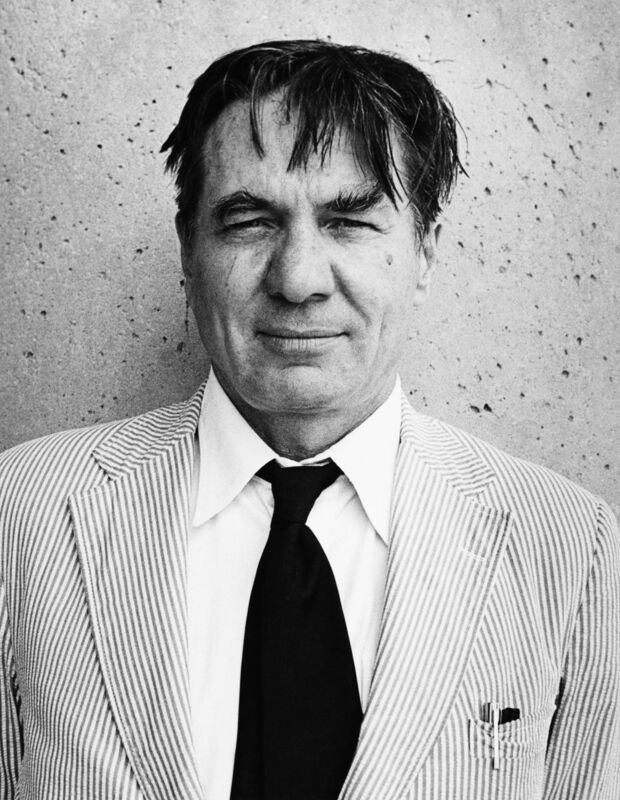 Contemporary American poet Galway Kinnell, born in 1927 in Providence, R.I., said this. Kinnell, I first surmised, was Irish—I suppose because of the name Galway, which makes me think of the virtuoso flutist James Galway who is Irish, from Belfast, and sometimes know as “the man with the golden flute.” Although our Kinnell was a New Englander, ending up in Vermont, where he died in Sheffield in 2015, and in which he was Poet Laureate from 1989-1993. The quote about poetry being someone standing up and saying what it is for him or her to be on earth at this moment brought to mind the biblical story (John 4:5-42) about Jesus and the Samaritan woman at the town pump, so to speak. Jews and Samaritans were arch rivals, having very distinct religious practices. Nevertheless, the Jew and the Samaritan in this biblical story, made a kind of poetry with their theological conversation—debate really. Jesus stood up with little concealment before a woman from whom he wanted a drink of well water. To her, a foreigner, a divorcée many times over, or perhaps a widow, and a woman whose religion and ethnicity the Jews did not countenance, Jesus revealed who he was on earth at that moment: the Christ of God with access to Eternal Life aka, “living waters,” and the slaking of all thirst forever. The woman, for her part, likewise stood up with no concealment before Jesus in total honesty about her situation—not precisely sinful by today’s standards, but not exactly stable either, being on her sixth intimate relationship, this time with a man not her husband. Yet she was truthful, open, and theologically astute in her perceptions of this Jew. Jesus took due note. And the poet takes due note of the loveliness of one of the most maligned creatures in God’s array of critters: the sow. St Francis blessed and beheld ever living thing as sacred. So must we. God, I feel sure, has many wombs. One is the baptismal font. Womb-like, it evokes birth and is filled with water, which breaks when we emerge. We are sealed by baptism and marked as Christ’s own forever. Another is the womb of Earth, the planet we call our island home. From it we derive all our nourishment and a full supply of water and air for Life. We cannot sustain biological life without this womb. It must be born again and again. Too often we take it for granted and abuse its rich yield— to our peril and to our shame. Another womb is the womb of Incarnation: the womb of our own flesh out of which we birth God’s life over and over again. We live in this womb all our life, and each time we connect with enlivening feelings, we are born again. Finally, there is the womb of the tomb. From that womb, God births us back into Life forever in God’s own soul. Here are two poems that bring the mystical experience of being born— and born again—down to flesh and blood and embodying divinity at once. Both are by the Rev. 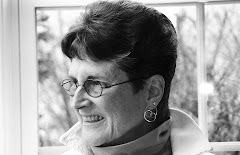 Regina Walton, a colleague, poet, and Episcopal priest in the diocese of Massachusetts. Regina is the author of The Yearning Life. Poems 2016, Paraclete Press. With her permission and with gratitude, I share these poems. where my shoulders meet spine. It wasn’t the thoughts that did it. With the blood of another. The baby: hale and pink and strong and fine. Leach their slow way into your opened vein. To sleep in a hard chair. Of all your pains naps in a plastic bin. The buzzing, ringing, beeping, healing din. So soon, to find so much of yourself gone? In time, you will get used to being wrong. from Songs for the Cycle by Michael Hudson. "Modern Declaration" by Edna St. Vincent Millay from Selected Poems. © Yale University Press, 2016. My candle burns at both ends; it will not last the night, but ah, my foes, and oh, my friends, it gives a lovely light! Edna St. Vincent Millay (1852-1950) was born in Rockland Maine. Her mother raised three daughters on her own, after asking her husband to leave when Vincent, as Edna preferred to be called, was a child of seven. She was a tomboy who loved to write poetry. Her poem “Renascence” won a prize in a contest and earned her a scholarship to Vassar. After graduation from college she moved to New York City’s Greenwich Village where she lived in a one-foot wide attic and wrote anything she thought an editor would publish. She and other writers were, according to Millay, “very very poor, and very very merry.” From her experience, and others like her I suppose, we get the romantic stereotype of the starving artist in the garret. At least we know these artists were merry. Millay was openly bisexual and wrote a lot about female sexuality and feminism. In 1923 she won a Pulitzer for The Ballad of the Harp-Weaver. Millay, openly bisexual, married a widower Eugen Boissevain, a self-proclaimed feminist. They lived like two bachelors. Today we’d call it an open marriage. He died in 1949; she died in 1950. Intense romantic love comes like a godsend and excites. To me the best kind of love is one that is steadfast—through thin and thin— something like the way the Bible describes divine love. Love is essential to human well being. There is nothing more glorious or soul-quenching than love. By its lack, love is soul-starving. Love is elusive and indescribable, though it is not fickle. Poets and profaners through the ages have tried to capture love in words. Glimpses must suffice. Millay get to the eternal quality of love in her poem. She does not limit her affections to one person but to just a “few things” all of which she will love always. This sounds impersonal yet the never-waveringness she describes is true love. It does give a lovely light.